2017 winner of Best of the Northwest! Five dollars from each Graduate Pizza from now through August will be evenly distributed to each graduate in August! Topped with pepperoni, black olives, mild peppers, and bacon. This pan-style pizza starts with our cheesy-chili mix, mozzarella, cheddar cheese, and polish sausage. Once baked topped with fresh onions, and mustard for a straight from the ballpark taste! hard-boiled eggs, bacon, avocado, onions and tomatoes. Served with a blue cheese dressing. Made with Piper’s krab and cream cheese mix, mozzarella and sesame seed crust. Topped with wontons, chives, a drizzle of sweet and sour sauce, and a fortune cookie on the side. Second Specialty Pizza (Of equal or lesser value) 25% off! These pizzas showcase the quality ingrediants and the quality and creativity that goes into every Piper's pizza. 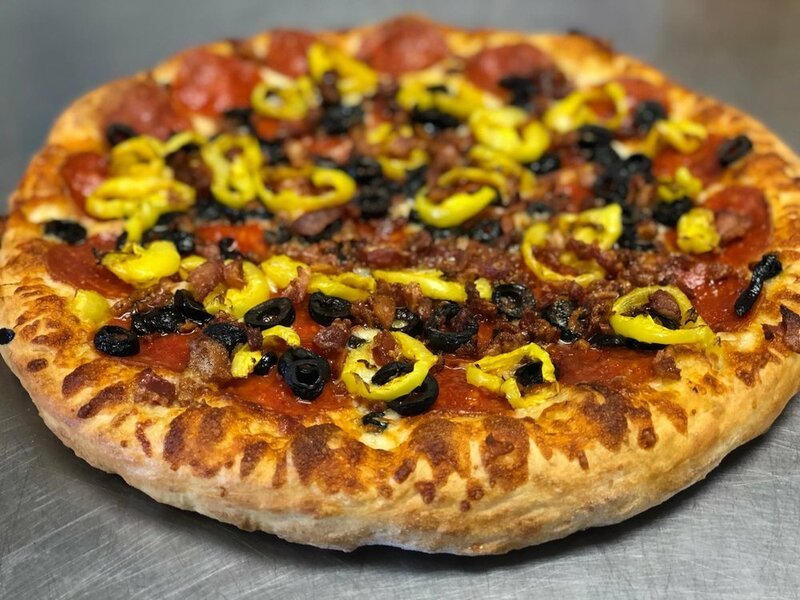 The Monster is an extra-crispy, super-thick pizza, with marinara sauce, pepperoni, ham, onions, green peppers, green olives, mushrooms, tomatoes, bacon & double cheese. This beast of a pizza weighs approximately 6 lbs. By far our most popular pizza ever! mozzarella cheese (with garlic-parmesean crust) to make a pizza that you’ll love just as much as Doug and Tamara’s daughter Brie! Made with our own krab and cream cheese dip, mozzarella, sesame seed crust. Topped with wontons, chives, a drizzle of sweet and sour sauce, and a fortune cookie on the side. Mushrooms (fresh & canned), onions, green peppers, black olives, green olives, fresh tomatoes, pineapple, broccoli, sun-dried tomatoes, spinach, mild pepper rings, jalapeno peppers, sauerkraut, fresh garlic, artichoke hearts, cheddar & feta cheese. Vegan Mozzarella style cheese is available, if you have any specific concerns, you can view the manufacturer's website Here. Gluten Free (add 3.25) If you have any specific concerns about the gluten free crust, you can view the manufacturer's website Here. Topped with marinara, mozzarella, pepperoni, mushroom, and onion. Mozzarella cheese wrapped and baked in Piper’s homemade pizza dough, topped with garlic butter, and parmesan. Served with Piper’s own marinara sauce on the side. Choose from 30 Fresh, Tasty Toppings! Hot, oven-baked grinders on Italian bread. Seasoned chicken strips, ranch, broccoli, tomatoes, mozzarella & cheddar cheese, topped with garlic and Parmesan cheese. Fried shrimp & cheddar cheese, topped with house-made zing sauce and lettuce. Chicken, bacon, mozzarella, with our house-made sriracha aioli, lettuce, and tomatoes. All of our oven baked pasta are topped with marinara (except the Alfredo) & mozzarella and served with a side of breadsticks. 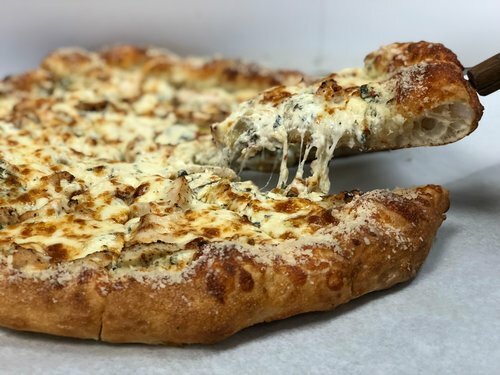 Family-owned, Pipers Mighty Good Pizza offers hand-tossed, homemade pizza, grinders, calzones, pasta, salads, and more. Our sauce and dough are handmade daily, in house. We offer a variety of the freshest ingredients to create your one-of-a-kind masterpiece. Our staff strives to offer you the most satisfying experience possible, whether in our establishment or having your meal delivered to your door. We Deliver to Harbor Springs, Alanson, Conway, Oden and Pickerel Lake Rd. areas (call for more information). Established in 1995, Piper’s was originally opened as Mighty Good Pizza, some years later, it was sold as an independent pizzeria. In 2015, the business received a whole new look when Doug and Tamara Piper took over and re-named it Piper’s Mighty Good Pizza. 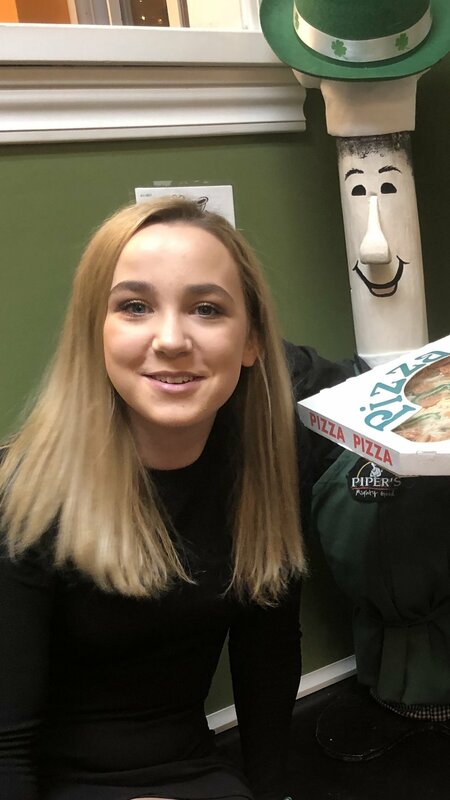 Doug’s first job as a teen was in a pizzeria and he remained in the business for 30 years, before, during, and after college. Through Doug’s years of experience, he has gained a wealth of knowledge to create a top-notch product, along with superior customer service. 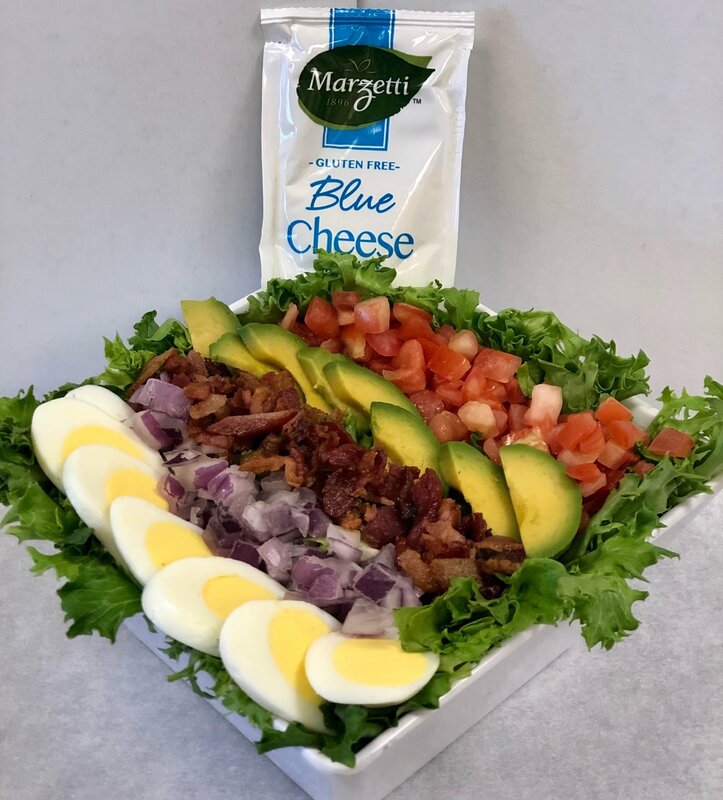 Doug, along with his wife Tamara, have made it their mission to create a warm, friendly atmosphere and offer a product that supersedes the competition. Come to Piper's and be greeted by "Pete." Pete was created by Doug's father, Don Piper, in 1995. Doug named him Pete, short for "Pete-za." Since taking over Piper's , Pete has been given a makeover and he'd been greeting customers as Piper's official mascot.